Dads are so hard to buy gifts for right? 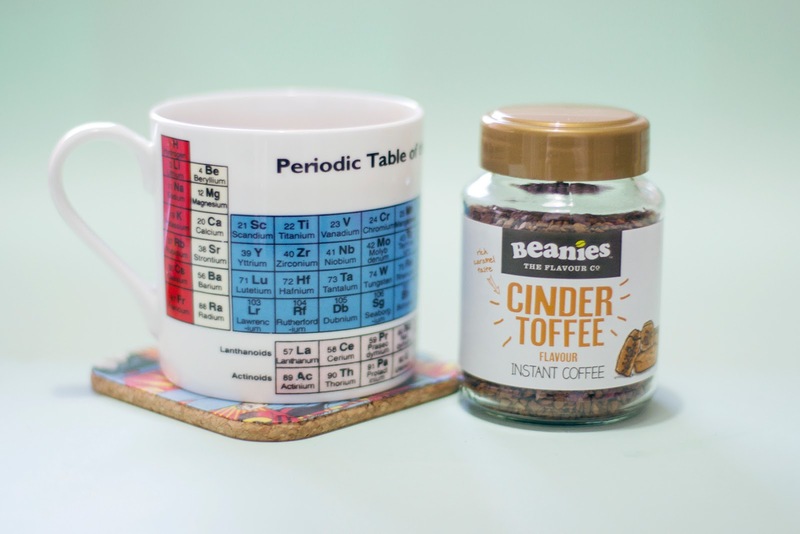 As it is Fathers Day on Sunday we thought we would pop a quick DIY in that you can make in a jiffy and give to your Dad as the perfect personalised gift. You can use any fabric you like to make these, find some fabric with a print your Dad will like. 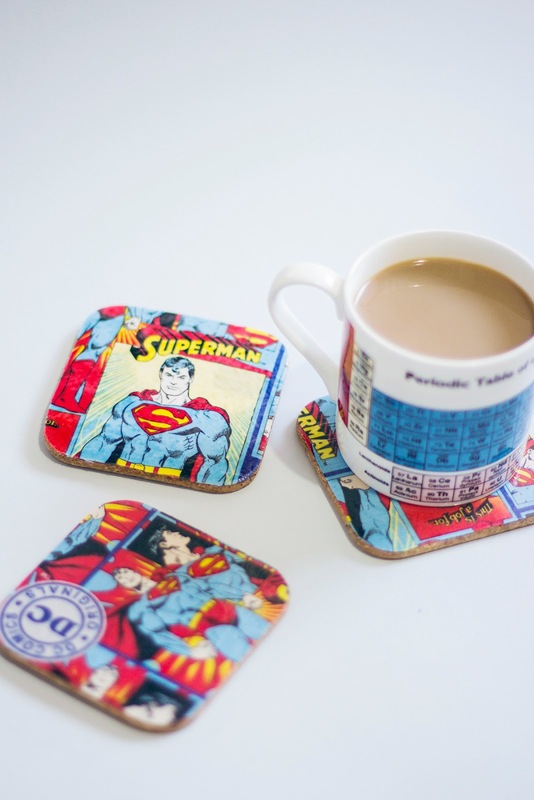 I picked this awesome Superman print from Frumble Fabrics. I have been waiting for a reason to use Lamifix for a while and this was the perfect tester project to try it out. Lamifix is an iron-on transparent film that can be used to fix appliqué motifs to table mats, cover fabric toiletry bags, make-up bags and any other crafts that require protection from getting dirty, once it has been ironed in place - to clean them, don't wash it just wipe with a damp cloth. 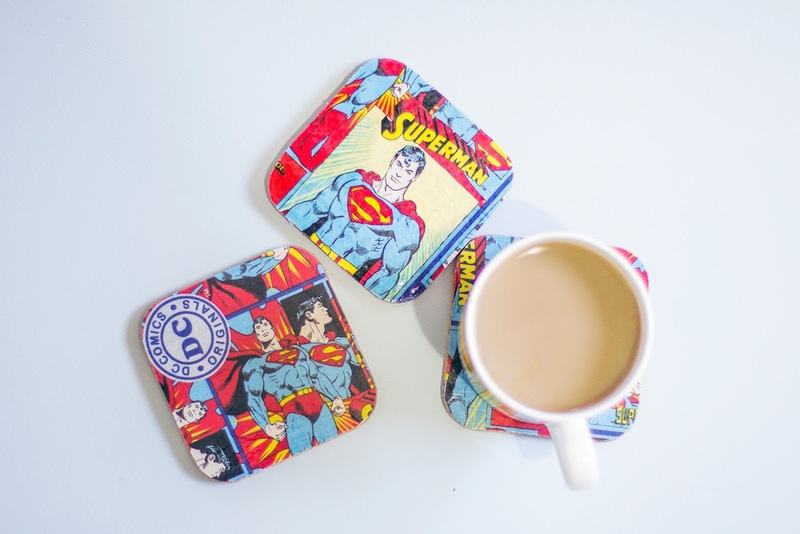 The perfect thing to make these coasters wipe-proof. 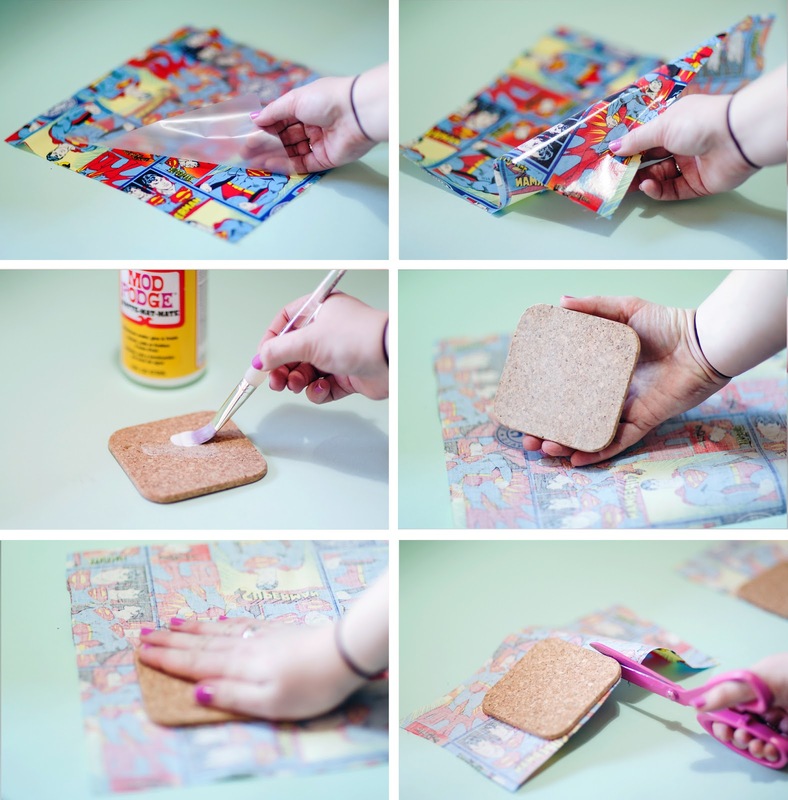 You will need: A pack of cork coasters, Mod Podge, a paint brush, fabric scrap, Lamifix, scissors and an iron. Start by placing your Lamifix matt side down onto your fabric and as per the instructions iron it in place. Now you have wipe proof fabric! Paste your cork mat with Mod Podge, make it a nice even thin layer. Wait for 30 seconds or so until the glue is tacky rather than wet and place it face down onto the back of the fabric. Press down on the mat and leave it to dry for about 20 mins, you can pop a book on top to keep it pressed down firmly. Once the glue has dried, take a super sharp pair of scissors and cut around the cork mat. Continue the steps again until you have a full set of matching coasters. 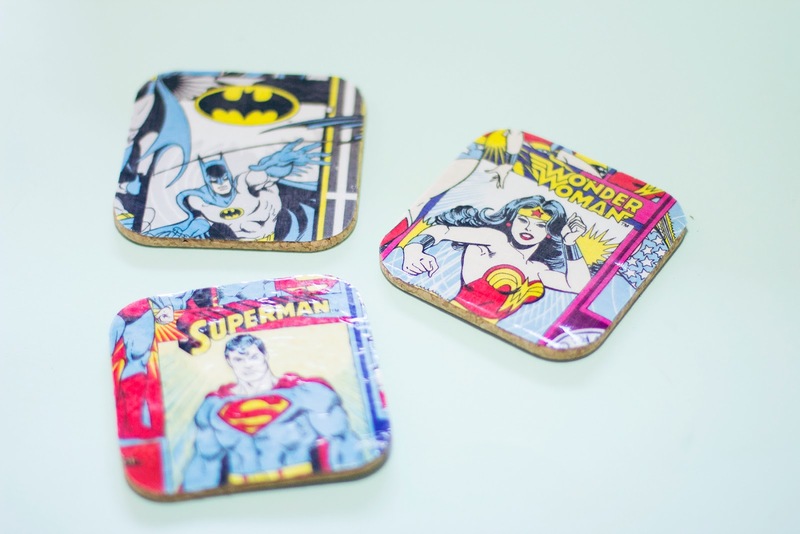 I had a couple of coasters spare, so I made a Batman one for Steve and a Wonder Woman one for me. All these fabrics were from the DC Comics collection from Frumble Fabrics. Also, just a side note about this yummy new coffee I found at Sainsbury's by Beanies, Cinder Toffee flavoured coffee! I am loving it at the moment, it smells amazing. It makes great iced coffee. I am packing a jar of this up with my Dad's coasters as his Father's Day gift. I love the finish you get with the Lamifix. What would you use it for? I think I am going to use it to make a make-up bag for my Mother-in-laws birthday next month and maybe a notebook cover. I bet it would be great for baby bibs too. I would love to hear what else you think it might be good for. I've never used lamifix before but the result is wonderful! I'm thinking of trying it out on a notebook too! Hi, I know this is off the topic of coasters, but would you know if Lamifix works on a mouse pad, or would it be too slick? And is mod podge strong enough to adhere paper or fabric to foam? 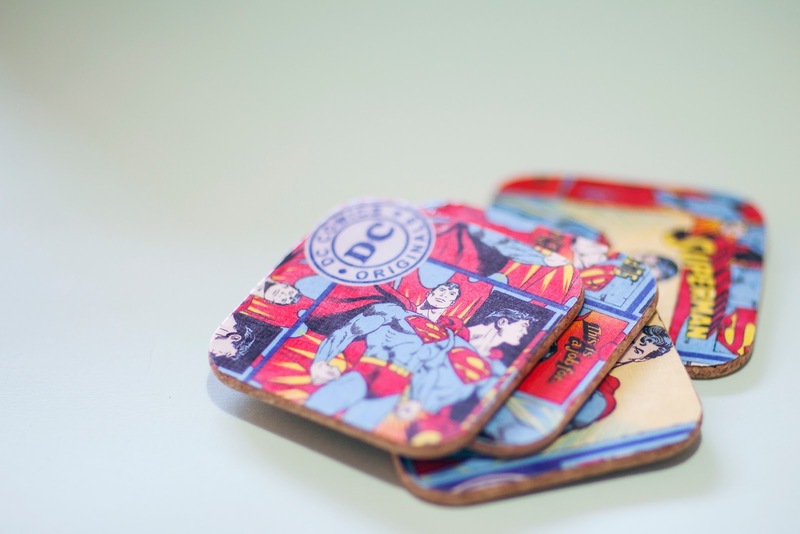 Also, would this same method you use to make your coasters work on tile coasters? Sorry about all these questions, but I'm pretty new at this and I don't want to end up wasting everything I bought. Any info you have I would really appreciate! I have used the same technique to cover mouse pads and it works just fine. 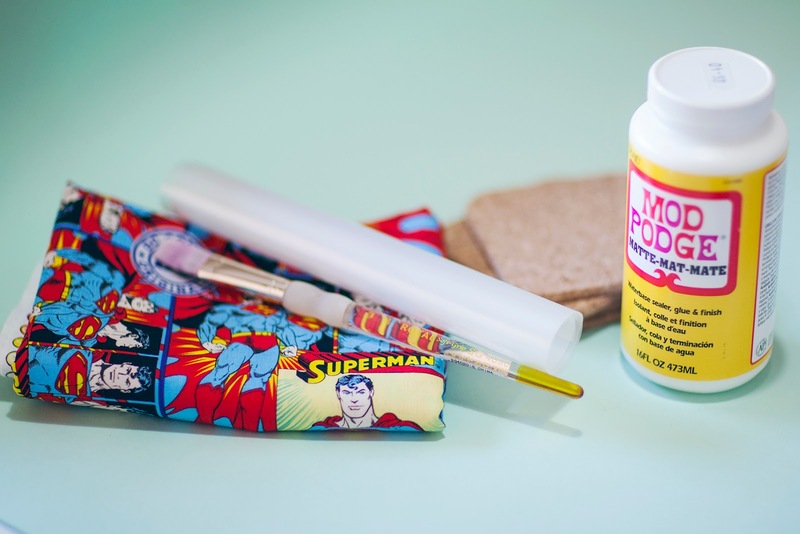 Yes mod podge is fine for use on fabric/ paper and foam, but always let your glue go tacky before you stick things together, you get a better bond that way. Thanks so much for your advice! I'm going to give it my best shot. Thanks for featuring usNicole! What a great round-up. I love the Star wars can cozies. I love Beanies Cinder coffee too! These mats are lovely. I have some round cork ones from IKEA. I feel that I need to try this.